This block plane has machined sides and the cutter rests at a 21° angle, ideal for cross grain planing. Thickness and evenness of shavings can be changed by loosening the clamping wheel and manually adjusting cutter. 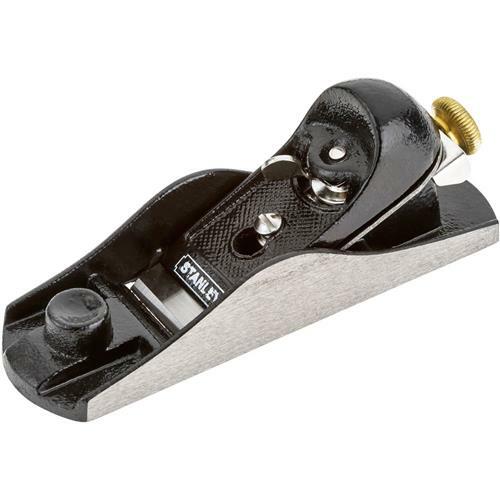 With a cast iron base, precision ground sides and bottom, and a durable epoxy coating, this plane will prove to be strong and long lasting. Finger rest at front of plane adds comfort and control.